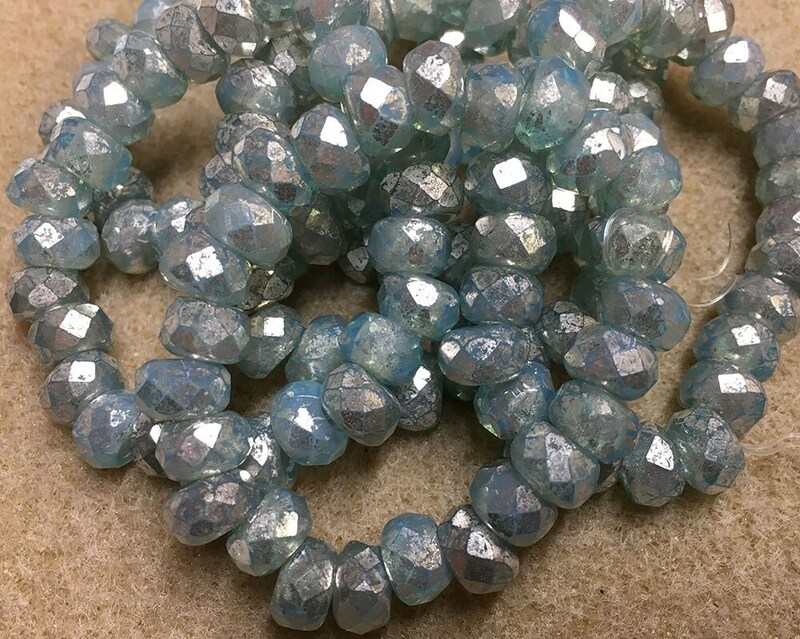 These beads are over the top gorgeous! 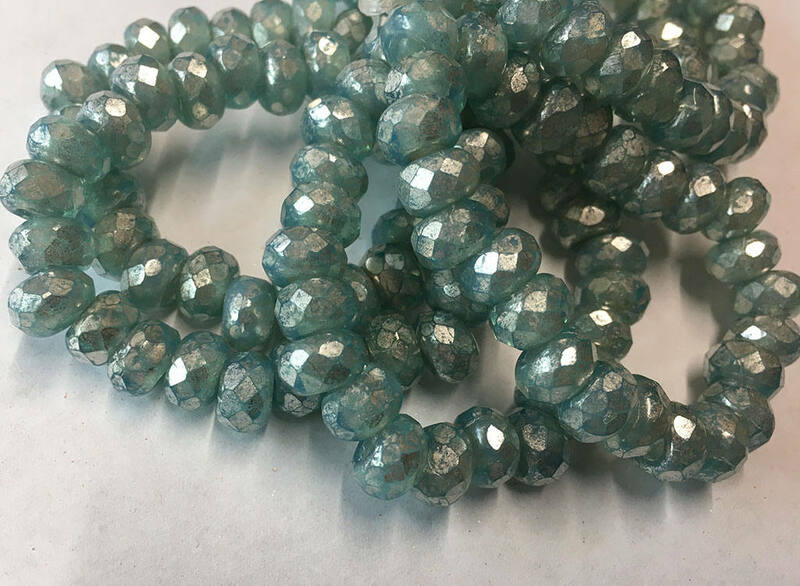 These small 6x9mm Czech glass roller beads are aqua glass with mercury-look finish (this is NOT real mercury but is a silvery finish). Large 3mm holes make them great for designs using larger cords. 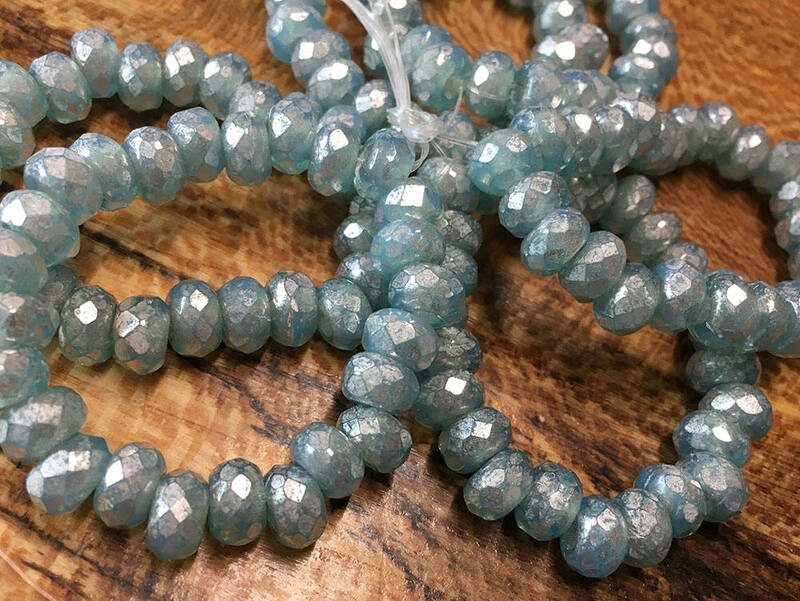 25 beads to a strand!